You are here: Home / Fuji X Professional System / Is Fuji-X Really A Professional System? Here is my Fuji gear minus one lens that is in for repair because it fell apart in my hands. This is just the major gear. I’ve also got all kinds of accessories, batteries, 3rd party flash units, and filters all purchased just for my Fuji system. Read on to find out why I’m feeling less than confident lately about the Fuji X-system for professional use. At that time I thought to myself that the X-Pro2 appeared well made and the lenses had a good feel to them and I could probably live without the pro service for a few months. I ultimately bought another X-Pro2 so I could always have two different lenses ready and also to have a backup. In my 33 years of professional shooting I never had a lens fail from normal use so I didn’t worry about that part of it. I will take occasional commercial shoots but my primary business is fine art photography so my equipment doesn’t get beat up like it might in the hands of a photojournalist or extreme adventure photographer; no extremes or abuse in my line of photography work. But in the last couple months I’ve had a Fujinon XF lens fall apart in my hands, an X-Pro2 randomly shutting down in the middle of shooting, and a frustrating service experience with trying to get a defective lens fixed by Fuji. Henrys gladly replaced my bad 35mm f2.0 with another one that was good. I tested my 23mm f2.0 and it has soft corners at all apertures so I sent it to Fujifilm’s repair center. After keeping it for 3 weeks before looking at it (and it took 3 phone calls to get them to look at it) they told me it “checks to factory specs” and sent it back to me un-repaired. The lens is acceptably sharp for smaller enlargements or internet publishing when focused at 30+ feet/10+ meters. It’s better at closer distances. The problem is I often shoot broad scenes/landscapes and I sell large prints for my living. Of the 9 Fuji lenses I own, the 23mm f2.0 is not really up to the image quality standards of the rest. My Fuji 23mm f1.4 is superior, even at apertures where the 23mm f2.0 should be better due it’s smaller maximum aperture and where the commensurate sweet spot normally is for acutance (sharpness.) Even my 35mm f2.0 is noticeably better. It’s unfortunate because I would prefer to be able to use the 23mm f2 over my 1.4. It doesn’t block the optical viewfinder for rangefinder viewing on the X-Pro2 and it’s smaller, lighter and faster focusing. Everyone I’ve dealt with at Fuji’s service center in the U.S. has been very nice but without a pro service for X-system shooters their hands are somewhat tied. After the inordinately long time it took to get my 23mm f2.0 looked at, one of the service reps personally followed the repair of my 18-55mm lens that fell apart while simply trying to rotate the zoom ring. It still took 2 weeks to get through the system but this rep kindly used overnight shipping on the return. I’m also packing up my X-Pro2 body with the intermittent shutdown problem and they said they will try to help me out on that too, knowing I rely on my gear for my living. Fortunately I have another body so I’m not out of business but the point is I’m willing to pay for expedited service and professional perks- if only Fuji offered it. For comparison, the last Sony body I sent in for repair was sent out on a Monday and I got it repaired and returned that Wednesday. Sony paid overnight shipping both ways. That alone paid for the $100/year pro service fee. I had similarly good experiences with Canon’s pro service when I shot Canon. I am hoping that I’ve just had a little bad luck with my three incidents regarding Fuji gear in the last couple months. I certainly enjoy using it and I have a substantial investment in my nine lenses and three bodies and numerous accessories. I would really dread having to sell all that gear and go through the learning curve on another system. Hey other full time pros out there using the Fuji X-system: Is the gear reliable for you? 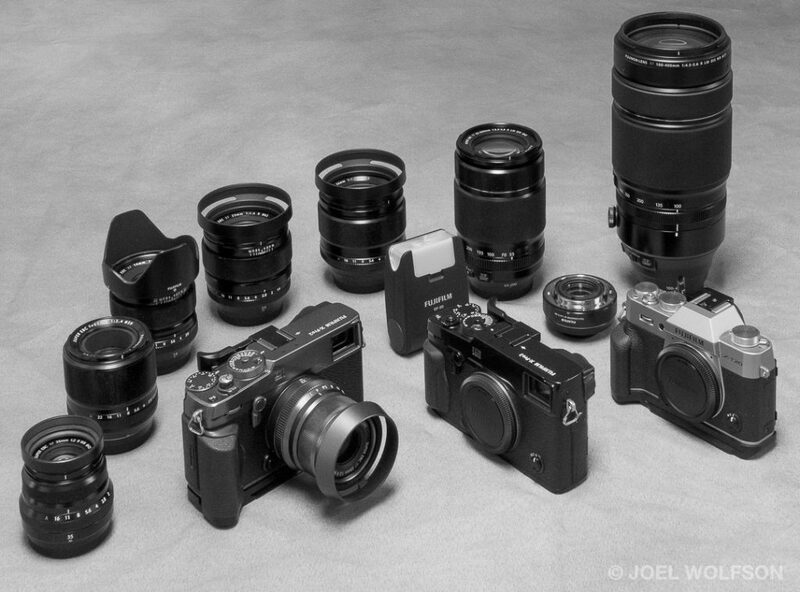 Will Fuji’s alleged pro service be coming soon and in line with Canon, Sony, and Nikon? I had no idea that special services were available for professionals, but I can see why they are desirable. Why Fuji trails the other brands on this point is difficult to understand. I am sad to hear that you have also had bad experiences with a couple of lens. I am not a pro, but have a good range of Fuji X lenses, transferred from Canon full -frame 3 years ago and haven’t looked back. Thanks for your input. I wrote this in hopes of hearing from other Fuji users. I still have a Sony FF system too. Until now I have usually grabbed my Fujis when I go out to shoot. The Sony produces world class results but not as enjoyable to use. I’ll wait to hear from other pros and avid users about their experiences before I do anything drastic like selling off the Fuji system. Thanks for the valuable feedback. Interesting about the service team; Here in the U.S. they told me that even though it was out of warranty if they determined it was a defect they would cover the repair. The repair technician determined that my lens must have been dropped or taken a hit. Although that didn’t happen there wasn’t much I could do. It cost me a little over $300 to fix. In fact they said they couldn’t fix it and sent me a new “open box” lens. It’s nice that I got a new lens but it made me realize how much my previous zoom had loosend up. The new one has a noticeably tighter and precise zoom ring (which is what failed on the other one). I’m glad to hear you haven’t had any other issues. As you know from my article I am a little skittish after 2 equipment failures a few weeks apart from each other. I have to agree that the FF vs APS-C difference is smaller than one would think. I’ve compared 30in/76cm images (vs Sony A7R II Zeiss glass) and don’t see a significant difference. Of course that’s using the whole image area and I can see more difference with the ISO 3200 tests. I don’t have the obvious problems that you have experienced. My problems release center around the quality of the images. I have experience a Number of issues from Romine looking noise to banding that is impossible to resolve. I am shooting with the XT2 system. I really enjoyed reading your article. I often ask the same question. I started shooting in 1958 and never stopped. I’m not a professional photographer. 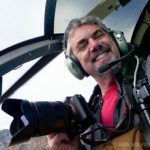 I migrated to digital photography as soon as the first cameras appeared on the market. However, in all these years I have been able to follow the development of photography systems, especially Nikon and Canon, I have lived with what I have called “incomplete systems” until recently. 1 – Wide array of cameras, lenses and accessories. Currently, Fuji-X does not meet the macro photography and the genres that require 500mm, 600mm, and longer fast prime lenses. The recent release of the XF 80mm is insufficient compared to the veteran Canon MP-E 65mm. Also, perspective correction lenses do not yet exist in the system. Furthermore, the system does not provide speedlites for macro and the user has to make use of third-party equipment. 2 – Quality of the construction of cameras and lenses. The quality is high for both cameras and lenses. There are construction failures as in any other system, but the mistakes made earlier are no longer repeated, for example, the X-T1 LCD projecting below the camera base and preventing its use when installing on some tripods. I rarely use JPEG. The quality of RAW files is very good. The efficient software is required to process the files produced by X-Trans sensors. After years using Adobe Photoshop and Lightroom I migrated to Capture One Pro and the results are very good. The quality of Fujinon lenses is high. I just do not trust the autofocus that I consider inferior to competitors. That is: when it comes to birding or birds in flight I still use my Canon. Note that I am comparing the Canon 7D II or Canon 80D with EF 400mm f / 2.8L IS II lens versus X-T20 / X-T2 / X-H1 with the XF 100-400mm lens. 4 – Worldwide technical support. Depending on the type of photography, the frequency of use and the care the photographer dispenses with the equipment MTBF (Mean Time Between Failures) can be greatly reduced. I have not experienced any glitch problems since the launch of the X system. I currently have 5 cameras and 9 lenses. Technical support is poor in my country. I believe that the same may happen in other countries. This is a very important point: a professional system must offer fast and efficient support. I believe that Fujifilm is working to expand support and not just pursuing innovation. Is Fujifilm-X a professional system? No. The system is still incomplete. Can the Fujifilm-X system be used professionally? Yes. Time will tell if System-X will become wide enough to fit and support all genres of photography. And I leave a question: what will be the definitive sensor of this system? X-Trans or Bayer? Thanks for your excellent points and well thought out response. I agree with your summary that Fuji-X may not yet be a professional system but many pros, like myself, enjoy using it. I also have a Sony FF system. I was hoping that I could replace it with the Fuji-X which I enjoy using more but I may not be able to do that. It’s expensive to own both and a little hard to justify from a business perspective if I’m only using one system occasionally. I will say that when shooting in mixed and difficult lighting the Fuji gave me more accurate color than Sony. I’ve since upgraded my Sony bodies so we’ll see if that has improved. I applaud Fuji for their innovation but I’m not sure that X-Trans has any clear advantage over good Bayer sensors though raw processors are getting better. If you didn’t see it, I did a raw processor comparison recently. I can’t argue with using C1 but you’ll see in my review why I didn’t cover it. Yes, I love using Fuji-X gear. As you point colours are accurate. My multiple Fuji cameras and nine lenses have been trouble free for over four years exposed to rain, snow and nasty falls. They have been a joy to use similar to the Leica M4 and M6 I used in the 1980’s and 1990’s. I found the Sony a7rii to be lacking any soul and just a little computer with a sensor and endless cascading menus even though Sony has the excellent G Master lens and excellent eye autofocus. What one does get with Fuji is the frequent Kaizen firmware upgrades. Firmware 4.1 on my XT2 has made it a totally different and much more advanced camera than when I purchased it a couple of years back including focus stacking now. Sony owners often need to purchase a new camera model to get their upgrades. I have heard that the intervalometer on the a7rii is no longer available on the A7riii. Fuji has that option as well as many others. And, how nice it is not having to carry around the larger full frame lenses. I have found that I have not been limited with the crop sensor to the size prints I like because of the excellent Fuji glass. Excellent and useful feedback! Out of curiosity, do you shoot professionally? Full time? If not, how often do you use your gear? Even an estimate of actuations would help. I am a retired physician and not a professional photographer but am constantly taking photographs almost daily. I was hiking on Monhegan Island today off the coast of Maine and banged a Fuji XT2 with a 10-24mm lens on a rock when I slipped and it still works great with sharp images pulled off on my iPad after striking the rock. My Fuji’s have survived multiple falls and heavy rain with the WR lenses attached. While I always take a backup Fuji, I have never had one fail on me. I rigorously test each Fuji lens I buy from B&H for all the usual problems including decentering and they all seem to check out great. I was initially using Leica and Canon (1 Ds and 1Ds Mk3 with most of the L lens) and a Rolleiflex 6008 Integral MF system and then found the Fujifilm system which I really bonded with much like my film Leicas. I tried the a7rii and just did not enjoy using it even though Sony makes superb photographic systems. In fact, I would probably consider Sony again if I was a professional photographer whose income depended on it but do not think I could ever enjoy using it like the Fuji’s. Using Iridient and LR/PS along with presets and ideas from books on sharpening Fuji RAW files from Thomas Fitzgerald in Ireland, I find I get excellent results without the “worm” effects so often mentioned. I have my batch processing down where the hassle factor from adding Iridient is very small. Hello, I found your site, and this article, via a link on fujirumors. My experience with the 23/2: first copy was in my estimation moderately decentered (not getting uniform sharpness between the right and left 1/4ths of an image taken at f/8, let alone any wider apertures) although very sharp in the center past f/2.8. I’d bought into the retailer’s warranty, which offered their own third-party services, and while that service center said it was ‘to spec’, it didn’t take too much convincing for them to issue me credit to buy another copy. Tested that one as soon as I had it in my hands. Well, it was even worse! Pretty much the exact same problem as before, only the detail smearing progressed even further in towards the image center on the right-hand side of the frame. Undaunted, I walked right back into the store and asked for another copy of the lens. Finally, it was a decent one. The difference in image quality at the edges/corners on number 3 and the two others is really night and day. I’d never seen such a huge difference in quality between different new copies of the same lens. So there are some good 23/2’s out there, but they’re outnumbered by the duds. Thanks for your feedback on the 23 f2. The differences between my first and second copies of the 35 f2 were quite large. Perhaps Fuji has a separate QA team or even manufacturing facility for the f2 series (?) Those are the only ones out of the 9 I own that had IQ issues. I am a professional wedding photographer in the UK and had full frame Nikon and Fuji both running at the same time but I found I was leaving the D800 in the car and just using Fuji. In the end I sold all my Nikon gear and went over completely to Fuji (3 of now) and never looked back. I did have one problem though, an older memory card got stuck inside my X-T2 and all I could do was force it out bending the contacts inside! I contacted Fuji UK who told me a repair was £180 and would be a two day turnover and the whole camera would then have a 12 month guarantee! Luckily for me I managed to get the contacts back into place and the camera is perfect, but for me personally I don’t want to use anything else. Thanks for this great feedback. It’s heartening to hear some good stories about Fuji gear. Thanks for the comment. I’m aware of this. The only problem is that I’m located in the United States where they still haven’t implemented a program. Fingers crossed for one soon. I had problems with my X-Pro2 shutting down around the same sort of time. It seems to have been OK since being returned from Fuji with a new logic board. Still, as you’ve correctly pointed out, it does lead to something of a lack of trust and I’m trialling out the Nikon Z6 so see if I might return to the manufacturer I was with in my DSLR days. So far, it’s an improvement in almost every department. Just curious where you are at these days, Joel? I ended up hearing from several people with both similar and different problems. Although I haven’t completely given up on Fujifilm my main system these days is Sony. I already had a few Sony/Zeiss lenses but I updated my bodies and added some lenses. I must admit it’s hard to beat the Fujis for controls and feel. They really found the sweet spot for combining retro tactile controls with new tech. That said, my Sonys are very comfortable in the hand (I use grip extensions for the “pinky problem”). The optics are stellar and their Pro service is fantastic. Fuji still doesn’t have a Pro service for the X series. It’s a little bit apples and oranges because the Sony system is FF but you are in the same boat with the Z6. I’m glad to see Nikon and Canon finally enterying the mirrorless market. It will provide competition and we’ll all end up with better products. Sony even seems to have taken a page from the Fuji playbook with their announced firmware upgrades, Kaizen style. I’m sure it didn’t hurt that Nikon had just done the same thing. In the past Sony hasn’t provided new functionality via firmware but now they have- or will be soon. I am intrigued by the X-T3 but it will be hard to pry the Sonys from my hands at this point. Until/unless Fuji offers a pro service for X series it can’t be more than a secondary system for me. I’ve already used the Sony pro service a few times and couldn’t be more pleased. They answer calls for tech help 7 days/week and have fast and exemplary service for repairs. And the gear is tried and true. Let us know how you like the Z6 after some time on it.